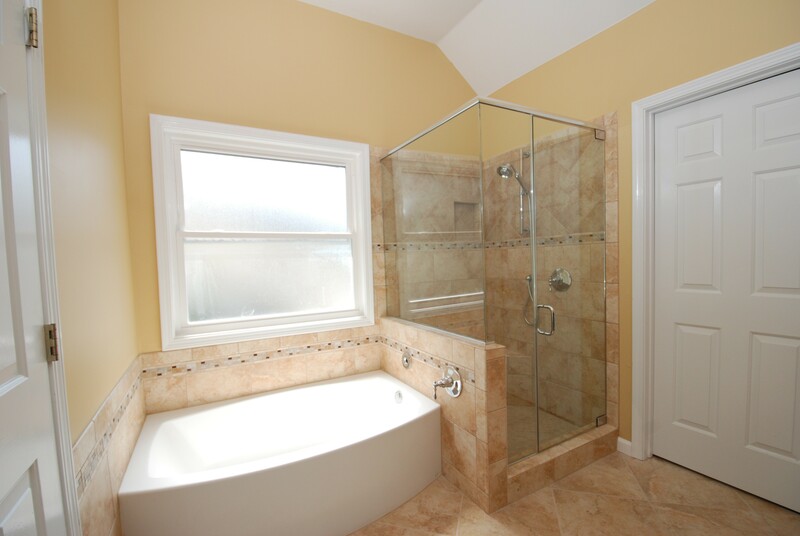 For this project the existing bathroom layout didn’t need to be changed. The focus for this project was to update the look with a close eye on the budget. We were able to completely remodel the space by choosing chrome fixtures instead of the more trendy satin nickel, using a header on the shower enclosure instead of a completely frameless one, and using ceramic tile instead of stone. 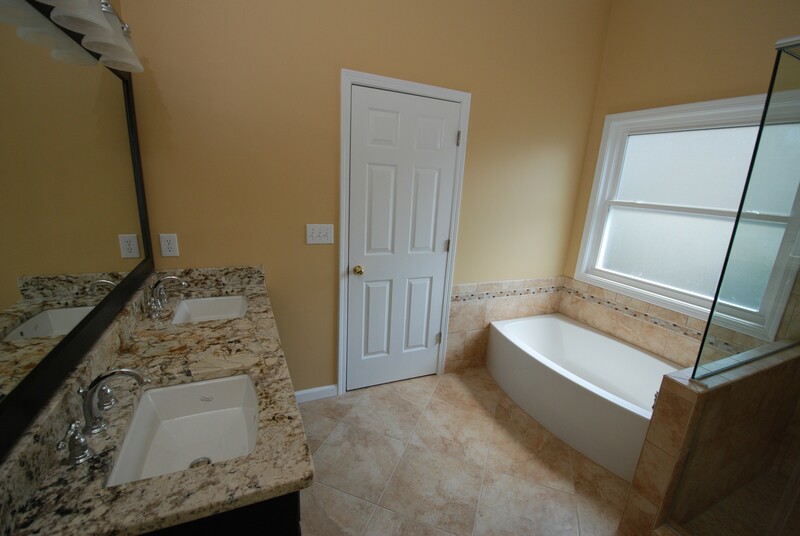 In the end, our client had a completely renovated master bathroom with a unique, fresh look. Our client’s finished project – a sophisticated look without breaking the budget. 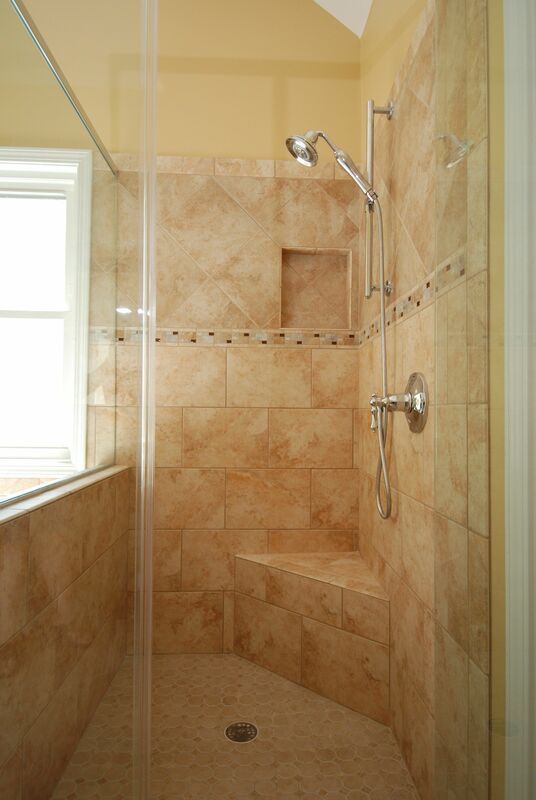 The shower enclosure shows off the tile in the shower. 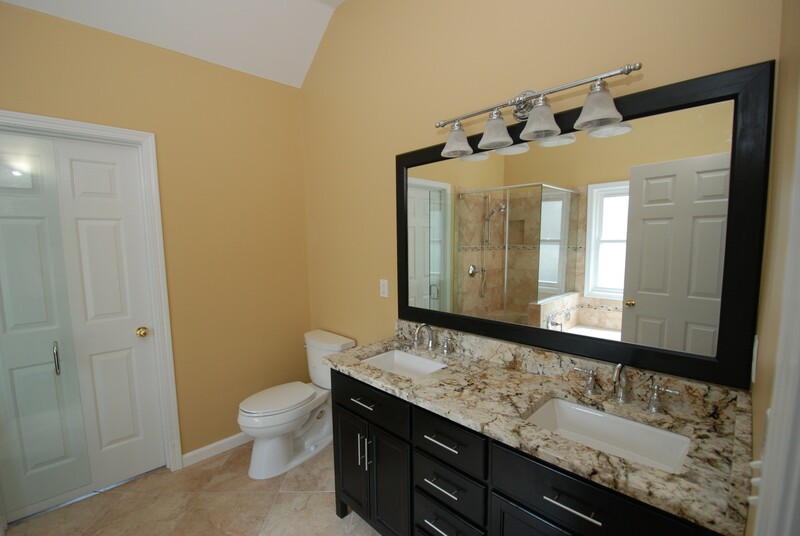 The paint color warms the space and complements the tile we used. A detailed look at the shower and tile work. There is a niche for the shampoo and a small bench in the shower. 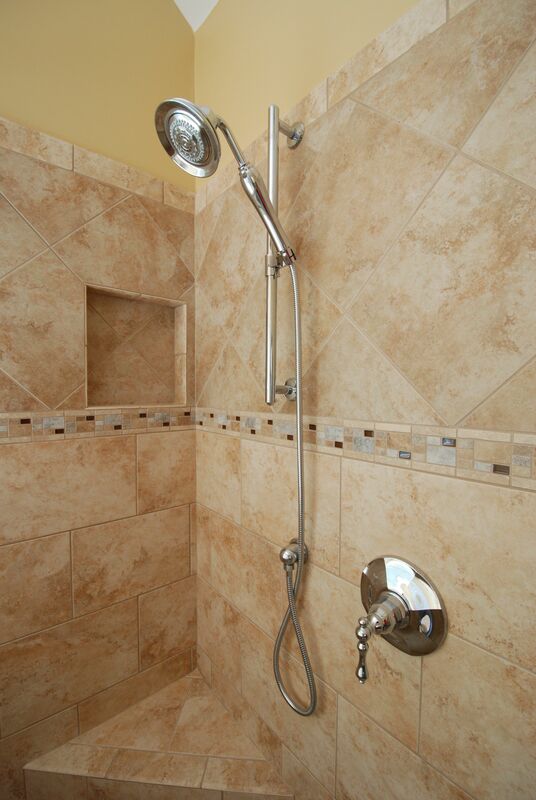 The hand held shower was installed using a wall outlet and slide bar which gives it a cleaner look and allows the height of the shower head to be adjusted. We used a special tub filler and this shows the Kohler laminar flow tub filler in action. No bumping into the tub filler getting in or out. By using the laminar filler and offsetting the water valve, the client can sit either way in the tub. A detailed look at the shower and tile work. 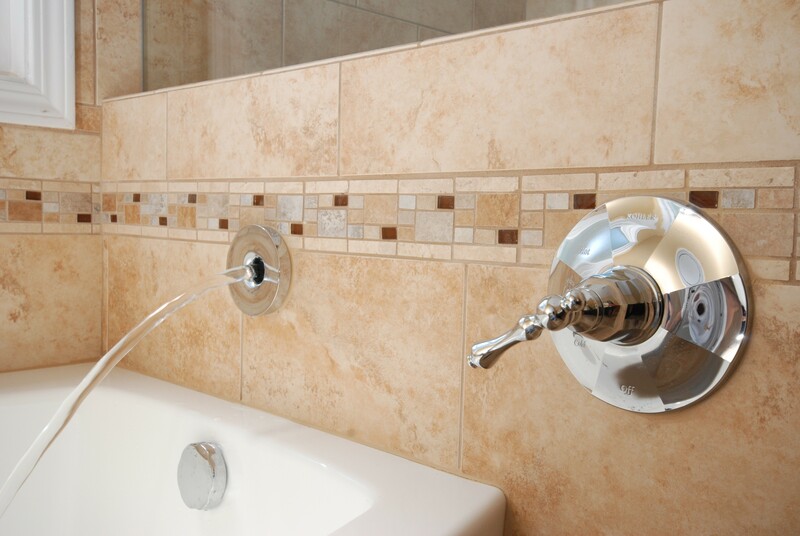 We used a simple accent tile around the shower and tub surround to add a little color and visual interest. The colors we used tied together all the finishes. The granite has black, white, yellow, gold, and brown colors which are echoed in the tile, mirror frame, cabinetry, and wall colors. 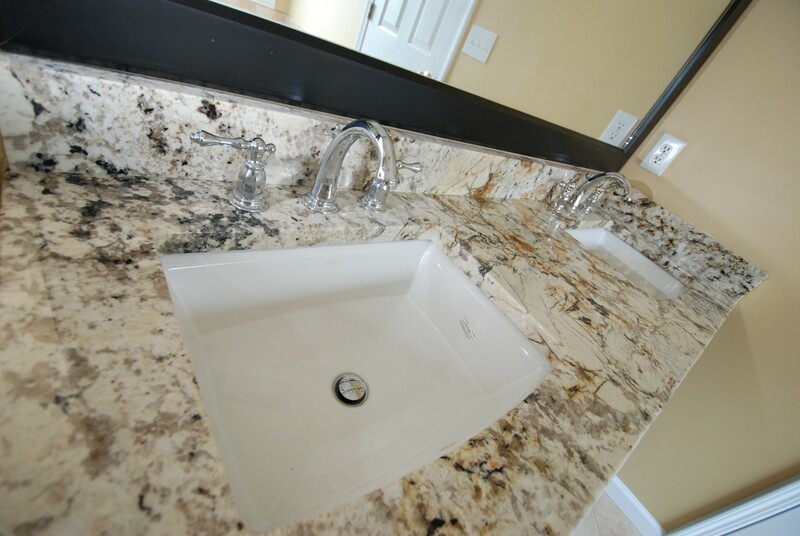 A look at the vanity and counter top from the bathroom entrance. We choose square sinks to add visual interest and this photo gives a good view of the Delicatus Black granite counter top. 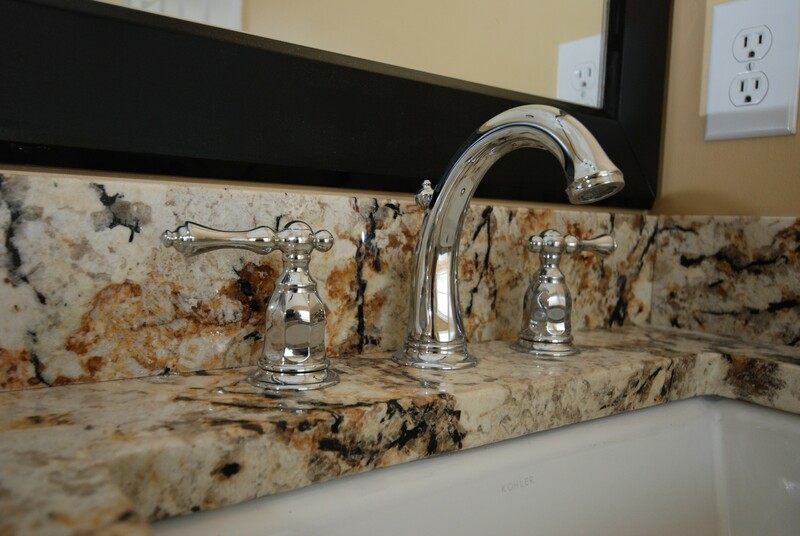 Kohler Kelston wide spread faucets in chrome finished off the upscale look for this bathroom. 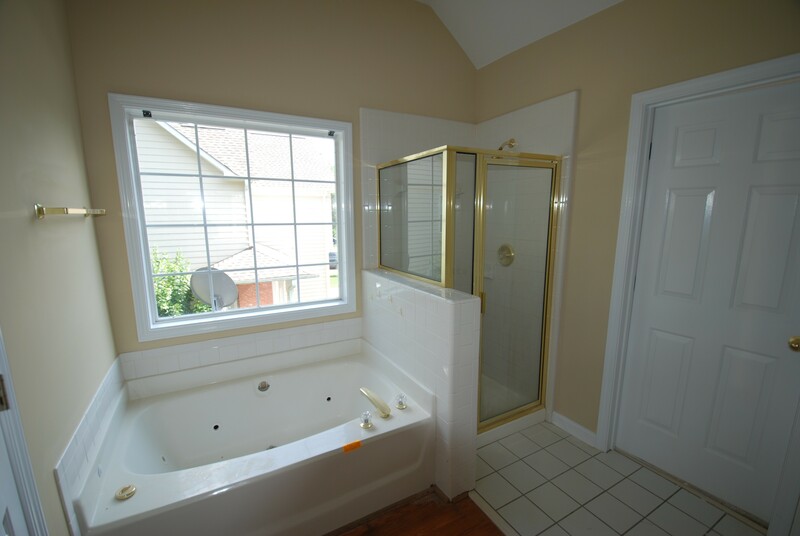 A before view of the bathroom – white tile, white cabinetry, and white counter tops along with neutral beige paint made for a bland looking space. 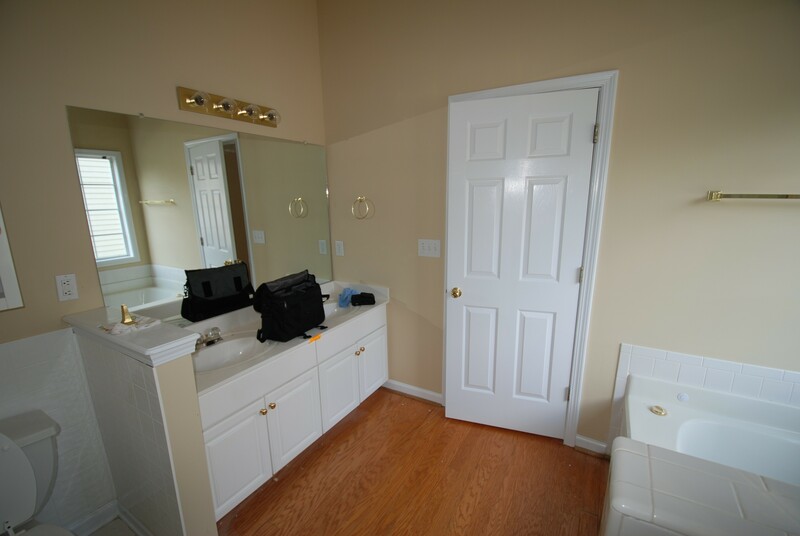 Another before picture – white cabinets, white tile and no focal point.